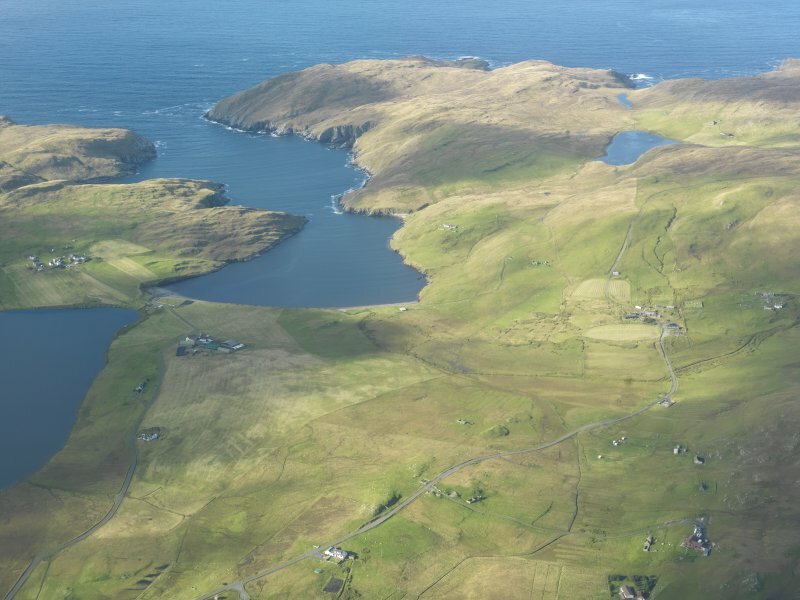 General oblique aerial view of Isbister, Sandvoe, looking NNW. 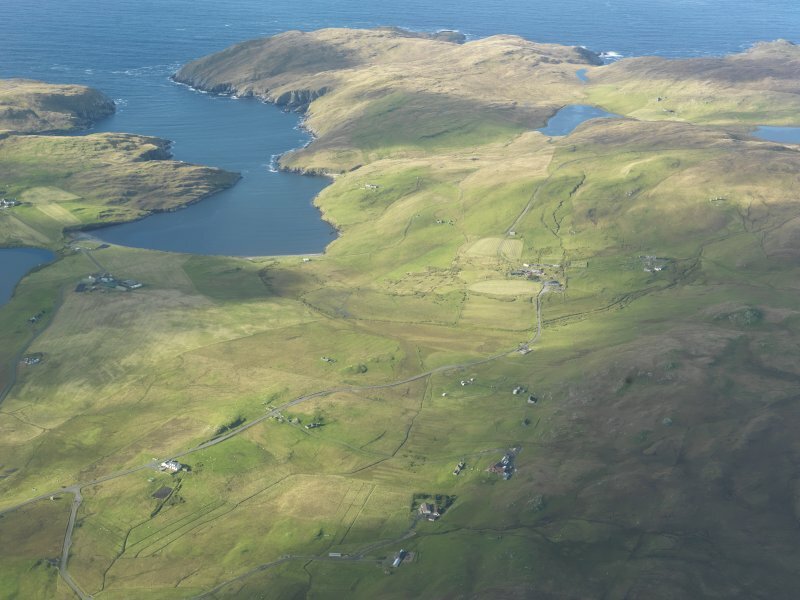 Oblique aerial view of Isbister, North Roe, looking SW.
General oblique aerial view of Isbister, Sandvoe, looking N.
No remains of the chapel can be traced, but there are two rude stone crosses, similar to those at Lunda Wick, Unst (HP50SE 6 - 12th c. church, etc) in the burial ground. No trace of the chapel. According to local information, gravediggers occasionally come across its foundation stones in the area of the O.S. siting. The two stone crosses noted by RCAHMS are set up against the W wall of the burial ground, which is still in use. 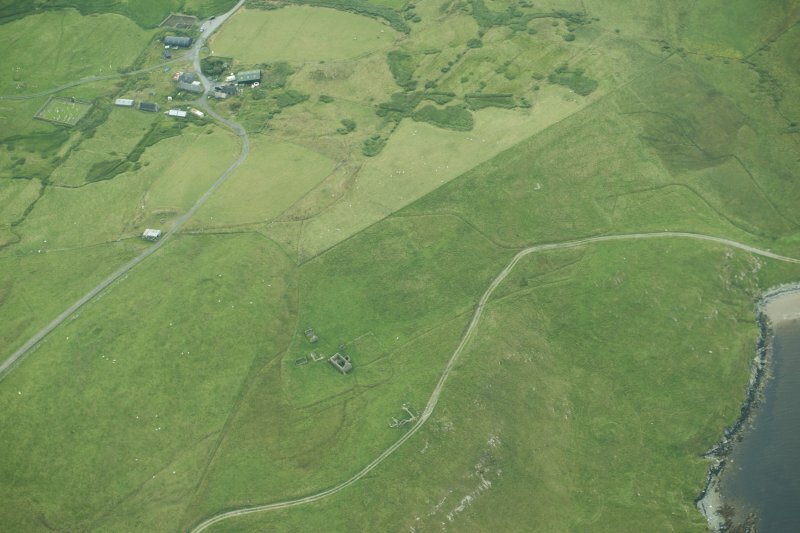 Visited by OS (RL) 24 May 1969.